On this episode of DTB’s “Preshow Rituals”, the country singer, Russell Dickerson, talks about what he does before taking the stage, while on tour with Lady Antebellum and Darius Rucker. On this episode of DTB’s “Bus Invaders”, we take you inside the touring vehicle of the country singer, Russell Dickerson, while on tour with Lady Antebellum and Darius Rucker. 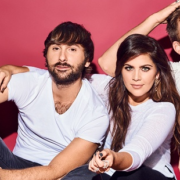 The country group, Lady Antebellum, has announced a co-headlining U.S. summer tour, called the “Summer Plays On Tour” with Darius Rucker. The tour goes from July through October. 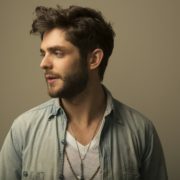 Russell Dickerson will join the tour, as support.